The RAYCAM™ LM3010 / LM3012 is a simple, durable and easy to operate liquid transfer line marker. 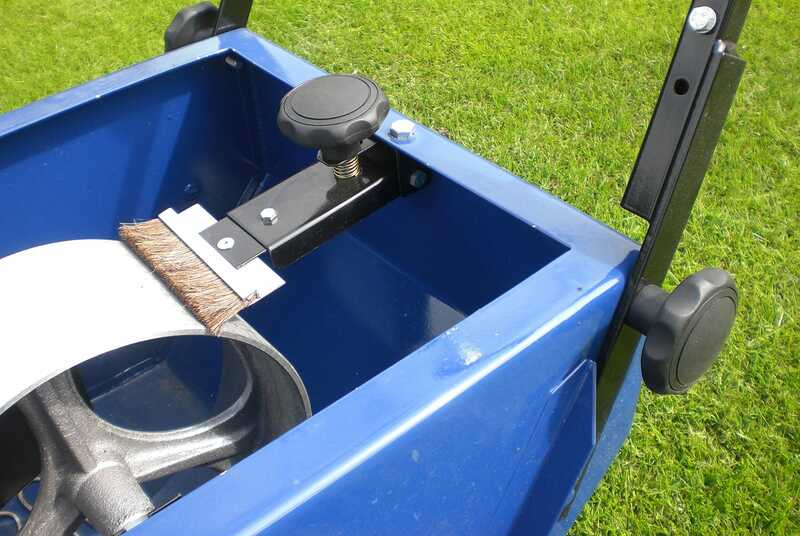 Marking material is transferred from the 15ltr hopper to the 10cm or 12cm wide marking wheel by a grooved rubber roller, giving even, accurate lines. 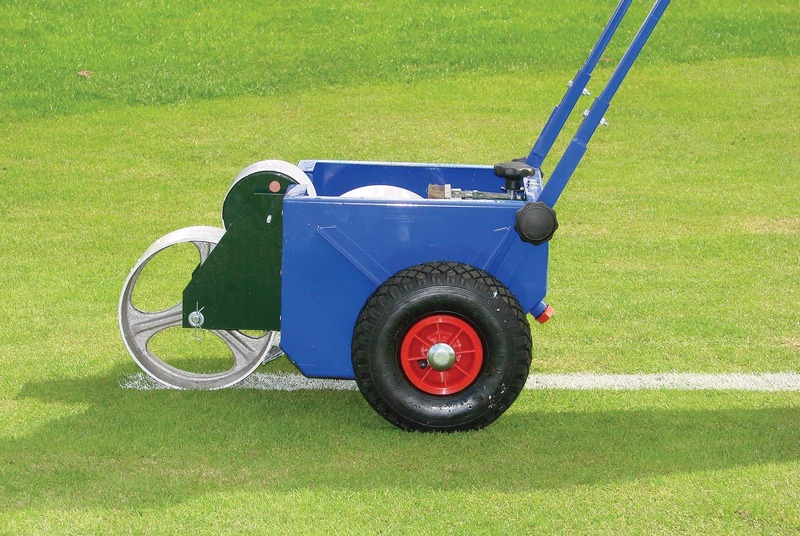 Features adjustable, tubular steel handles, pneumatic tyres, adjustable flow rate. 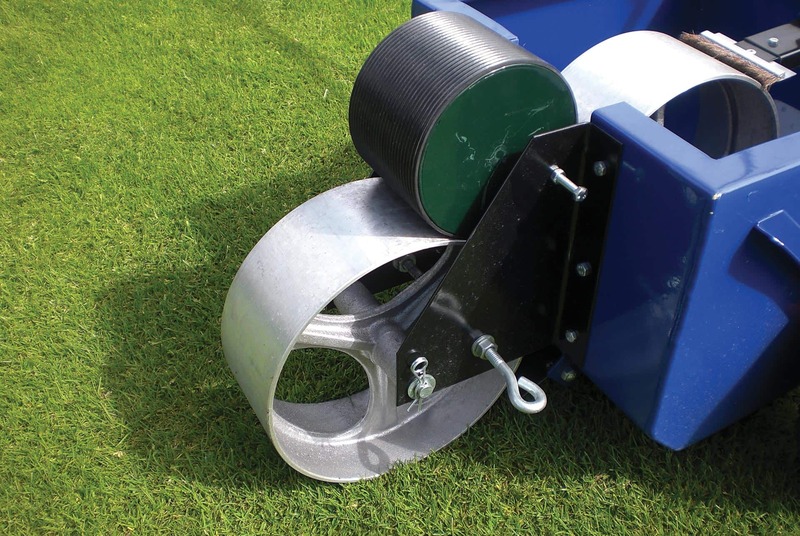 Front roller allows marking up to post or flag. Recommended marking materials include propriety marking paints, emulsion paint, etc. 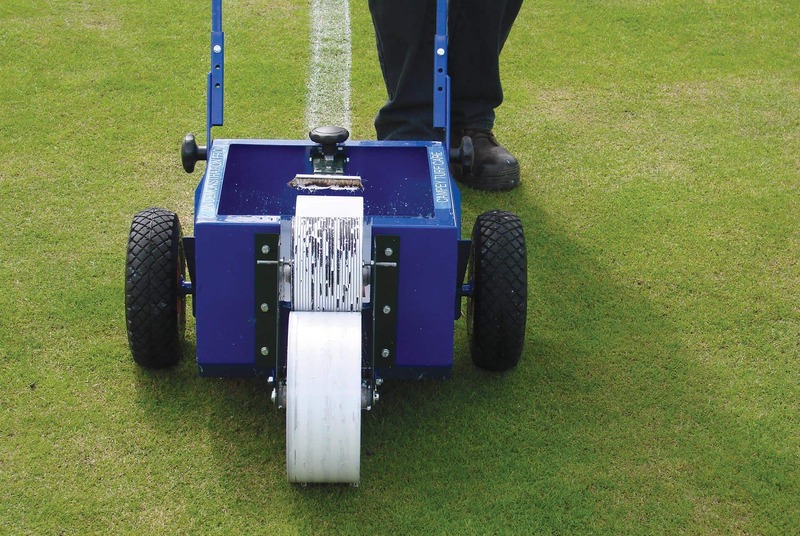 Always check marking materials comply with H.S.E guidelines for sports field use.